“I feel that society only gives us 30% opportunity. While we have to put 130% effort to be capable! 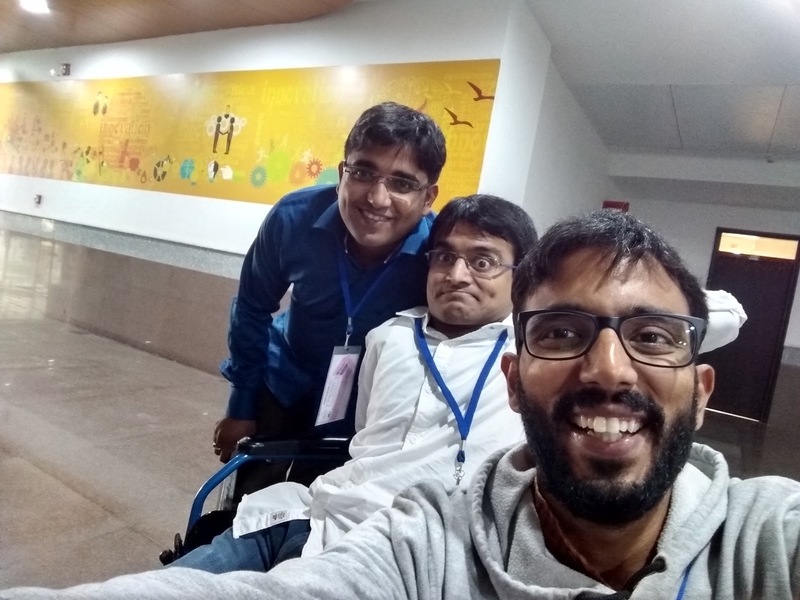 A few weeks ago, we had a chance to present our work and attend Empower 2018 – an Assistive Technology conference in New Delhi, India. Thinkers and innovators from the Indian Institute of Cerebral Palsy (IICP), National Institute of Speech and Hearing (NISH), as well as those from various Indian Institutes of Technology (IITs), among others, were present. It was a great learning experience for us, to be able to interact with brilliant minds from across the country. The interaction and new friendship we cherish the most from Empower was the one we had (and continue to have!) with Dipak. Dipak is 33. Having completed his BCom. (Hons.) in Accountancy, he is an accomplished artist and musician. He is also among India’s foremost advocates for equal rights and opportunities for persons with disabilities. Dipak was diagnosed with Cerebral Palsy when he was an infant. He was almost three years old when he was able to sit up. Because of CP, he has very limited use of his hands. This, however, was hardly a deterrent for Dipak. Being a creative child, he taught himself to use his legs to write, paint, play and engage in his daily routine. As a child, Dipak was quite naughty, often getting into trouble. He passed his secondary education from the Center for Special Education – IICP. He attributes a large part of his success to the support he received during his schooling here. His school life was full of excitement and fun in the company of his friends and teachers. An academic topper, he received several medals in the sports as well. It was here that Dipak learned to draw and play musical instruments with his feet. Dipak’s mother is a huge influence and inspiration for him. She has always believed that there is no greater dignity than serving others. Taking a page out of his mother’s beliefs, Dipak is today a well known and respected advocate for the CP community’s rights, inclusion, and opportunities. As a public speaker and activist, he has inspired many by his example. He is currently working on a project called the Media Lab in collaboration with the National Resource Center for Augmentative and Alternative Communication (NRCAAC). This project is looking to formulate a new concept of understanding and expression of ideas, aspirations, feelings, and thoughts. For all his accomplishments, Dipak was awarded the Surrendra Paul Memorial Award for Courage. He was declared The Most Creative Adult by the Governor of West Bengal. Dipak is a great inspiration, not only for his community but also for each one of us. His story pushes all of us at Team Avaz onward with greater resolve towards Making Every Voice Heard! Avaz is now available on Play store.